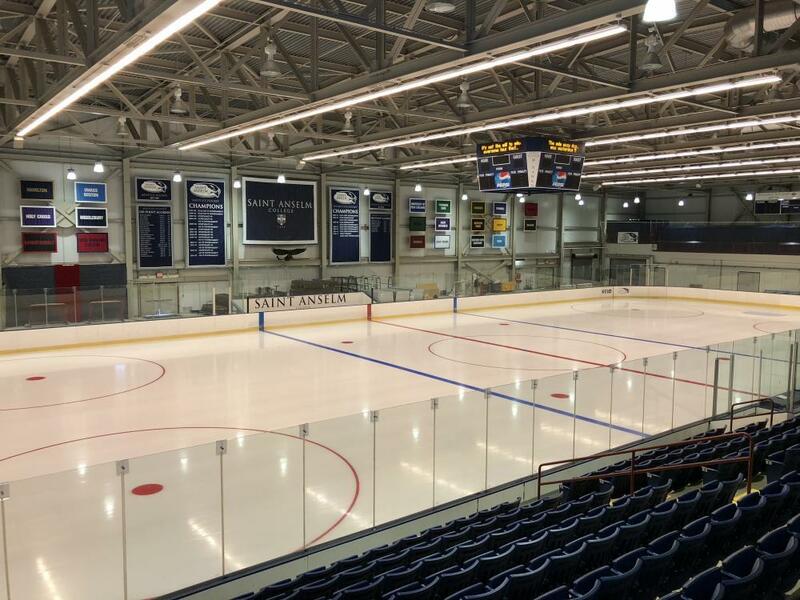 Located on four-hundred acres overlooking Manchester, New Hampshire, Saint Anselm College provides a unique location for meetings and events. 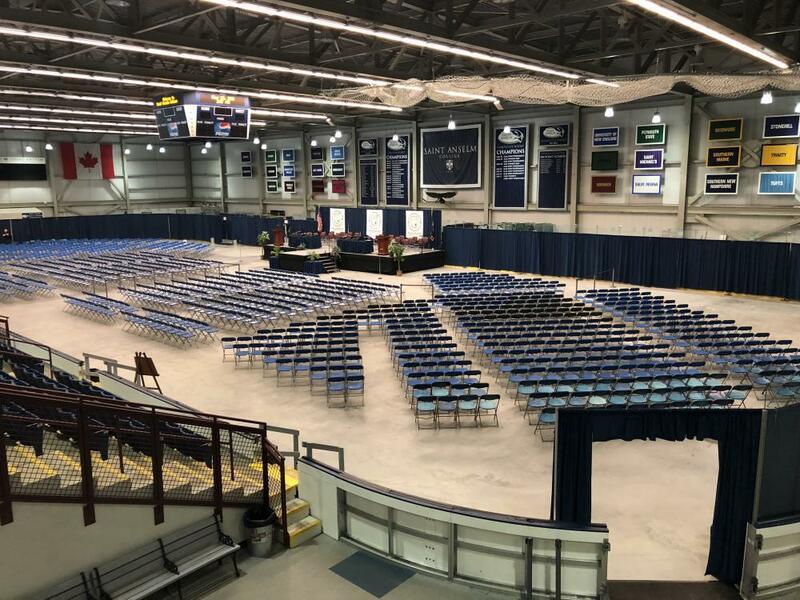 With its close proximity to Boston and to New Hampshire’s beaches and White Mountains, Saint Anselm College offers the perfect setting for New Hampshire meetings and events with its state of the art technology and world class catering. 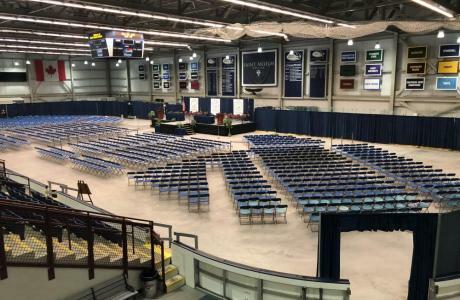 See below to learn why Saint Anselm College conference centers and event venues offer the best accomodations in New Hampshire. 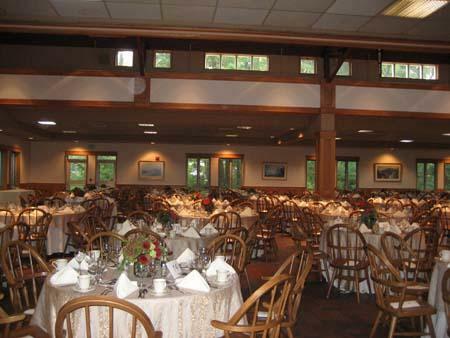 The College’s list of amenitites make it clear why they are the premier event venue in all of New Hampshire. Manchester meeting space is available year-round, but on a limited basis during the academic year. Overnight accommodations are available during the summer months only. There are several nearby hotels that may be used for overnight accommodations during the academic year. Internet access in meeting rooms and classrooms. Housing accommodations include access to cable and internet. 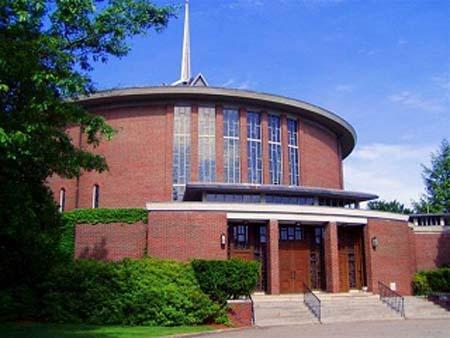 Saint Anselm College offers catering services that complete any New Hampshire meeting or event. Our services cater to a variety of needs, from extravagant four-course dinners served on linen-dressed tables to traditional through-the-line meals. We are currently offering discounts on overnight accommodations and meeting room fees for the months of June and July 2019 - up to 25% off for new clients. Koonz Theatre, Dana Center	 The Dana Center provides an optimal location for meetings, easily accommodating general sessions. The stage of the 575-seat Koonz Theatre holds cultural and political events of all kinds—from acrobatic performances to lectures on Michelangelo to nationally televised presidential debates. Classrooms	 Classrooms are located in Joseph Hall, Poisson Hall, Goulet Science Center, and Gadbois Hall. When classes are not in session, theses buildings offer space for workshops, and lectures, and meetings. 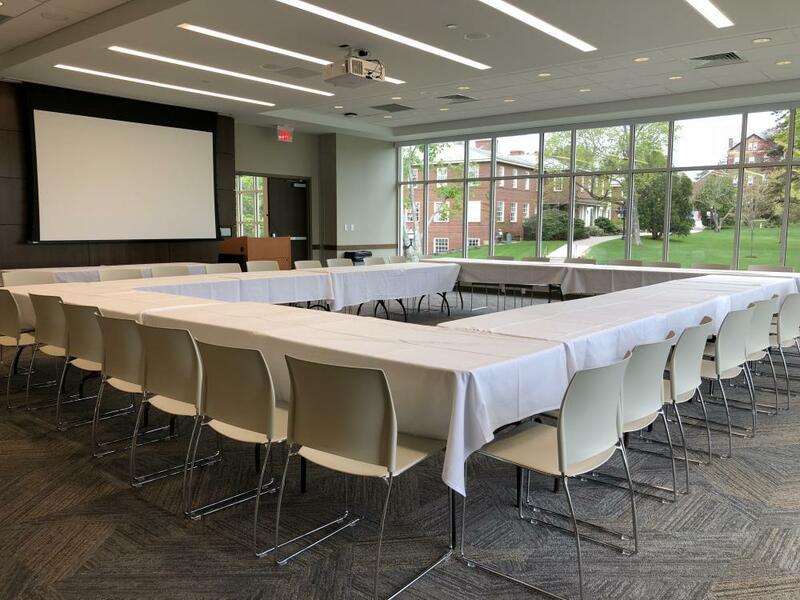 Recently renovated, Joseph Hall features modern seminar rooms with the latest technology, including Smart boards. 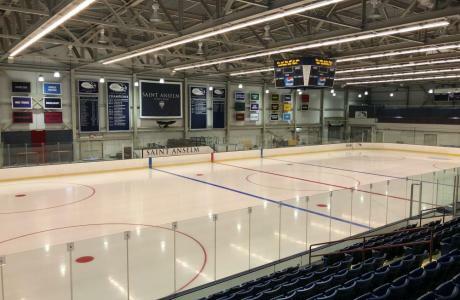 Thomas F. Sullivan Arena	 Home to the Saint Anselm men’s and women’s hockey teams, Sullivan Arena is ideal for ice hockey camps and other skating-related activities. The facility was built in 2003 and contains training and locker rooms, laundry facilities, and space for banquets and other functions. 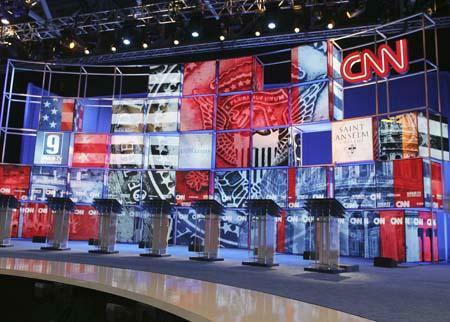 The arena is available in the spring and late-summer as a large event space and was the setting for nationally televised presidential primary debates during the 2008 and 2012 election cycles. New Hampshire Institute of Politics	 Dedicated in 2001, this 20,000-square-foot facility includes a state-of-the-art auditorium, a fully equipped TV studio, classrooms, seminar rooms, and a computer lab. 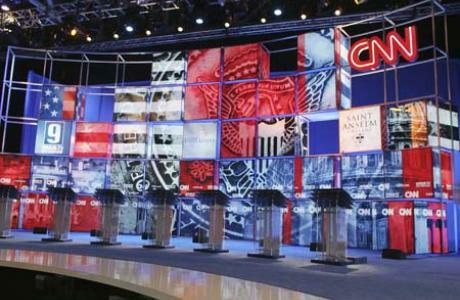 During presidential primary years, the NHIOP is at the heart of the local and national political activity. Our brand new facility which openend in May of 2018 provides an event space with a spectacular view of campus ideal for meetings, conferences, and banquets. 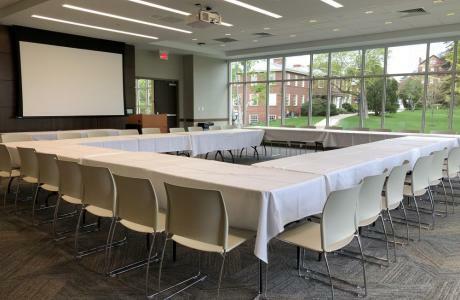 The event space can be divided to accomodate multiple meetings at the same time. 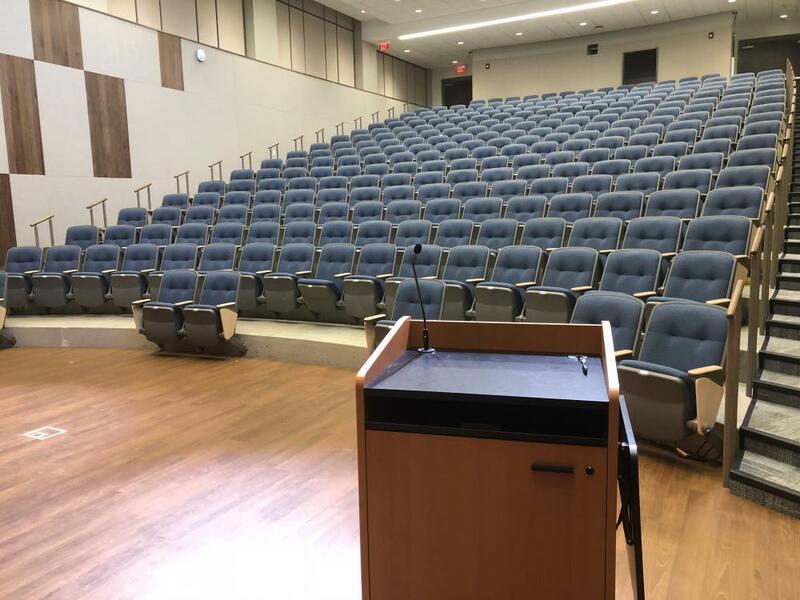 Also included in our Student Center Complex is an Auditorium that is equipped with state of art audio/visual and has stadium seating for 250 guests. 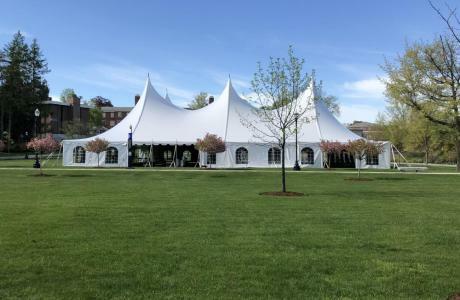 As a part of Saint Anselm College's Benedictine tradition of hospitality, we offer full-service catering, providing the highest level of food and service to ensure the success of your event. We will assist you in planning every detail related to your food and beverage needs. We can customize our offerings to suit your needs and will gladly work with you to select the ideal menu for your guests. Whether your function is a continental breakfast for 12 or a plated dinner for 300, our experienced professionals will strive to exceed your expectations. 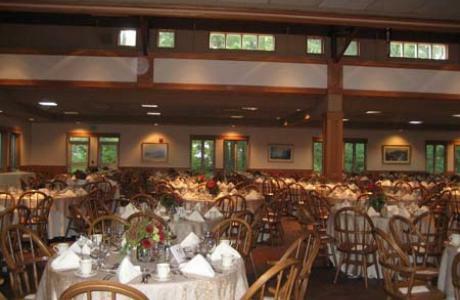 Our campus dining hall is available for meal service during the summer conference season. Our food is homemade and freshly prepared by our chefs and we offer vegetarian and gluten free options. Event Planning	 Our team of event professionals will work with you on each aspect of your program, ensuring that your meeting or event is conducted with professionalism and attention to detail. Audio Visual Services	 Our on-site AV techical support team will make sure your meeting is up and running. Complimentary Parking	 On-campus parking for event attendees is always free of charge. Guest Wifi Complimentary guest wifi is available to all guests! Presentation technology All of our classrooms and most of our meeting spaces are equipped with projectors, screens, and a computer for the presenter. Use of the existing equipment in each space is included in your room(s) rental fees. Manchester Manchester, being the largest city in all of New Hampshire, with a population of just over 110,000, combines rural living with city life. Manchester is home to an opera company, two orchestras, and over 50 bars and nightclubs. Go shopping! The Mall of New Hampshire is just 15 minutes away, and theres's no sales tax! Go out to eat! Manchester boasts more than 90 restaurants. Go cheer on our local sports teams! We're home to the Manchester Monarchs hockey team, the AFL affliate to the NHL's Los Angeles Kings; and the New Hampshire Fisher Cats baseball team, the Double-A affliate to the MLB's Toronto Blue Jays. White Mountain National Forest	 The White Mountains inspire poets, painters, and outdoor sports enthusiasts and can be reached from campus in one hour. Hikers, rock climbers, mountain bikers, and skiers find lots to do. New Hampshire Seacoast	 The sandy beaches of New Hampshire’s coast are within an easy drive. Hampton Beach, Rye Beach, Wallis Sands, and Odiorne Point are a few of the best spots. You can even go whale-watching in Portsmouth! Merrimack Premium Outlets	 The Merrimack Outlets are the perfect place to enjoy tax-free New Hampshire shopping! 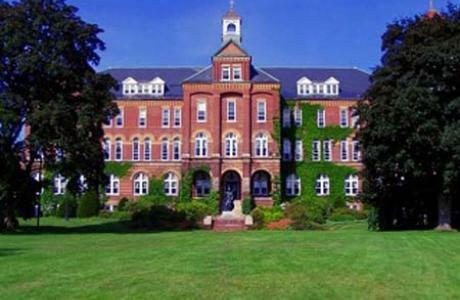 Saint Anselm College is my first choice for events! 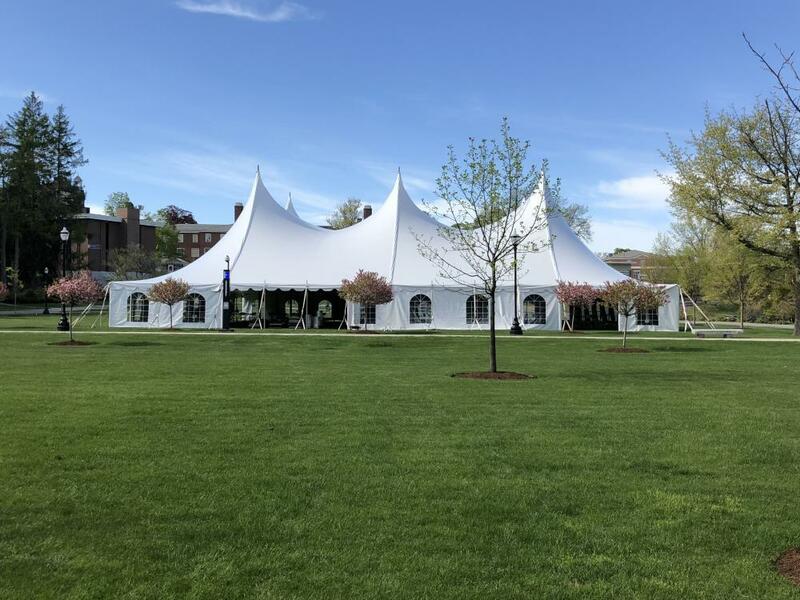 I have had the distinct pleasure of working with Saint Anselm College and Rob Foreman, Director of Conference & Event Services on two multi day events in 2018. I look forward to more scheduled events in 2019 and 2020! Rob's professionalism, attention to detail and customer service is outstanding. Rob met with me on a few occasions to accomodate specific IT requests and without hesitation. The IT team was also super helpful on the day of the event helping one of our speakers with a Zoom connectivity issue. We held our events at the beautiful Roger and Francine Jean Student Center and could not have been happier. The Catering Director worked with me to create a menu that not only was delicious but also met our client's dietary needs and kept me within budget. The entire Catering staff was very professional and attentive. Our group was particularly pleased with the yummy homemade brownies that were served! The venue is warm and inviting while also remaining competitvely priced. I encountered numerous staff during our events as well as many students. The kindess and consideration that were extended to our group uniquely align with the Catholic traditions that are being taught at Saint Anselm and certainly added to our grups overall stellar experiences. 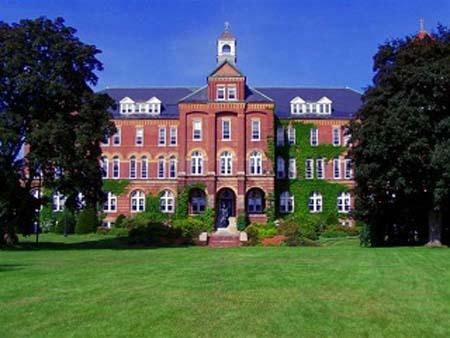 Many thanks Rob and Saint Anselm! 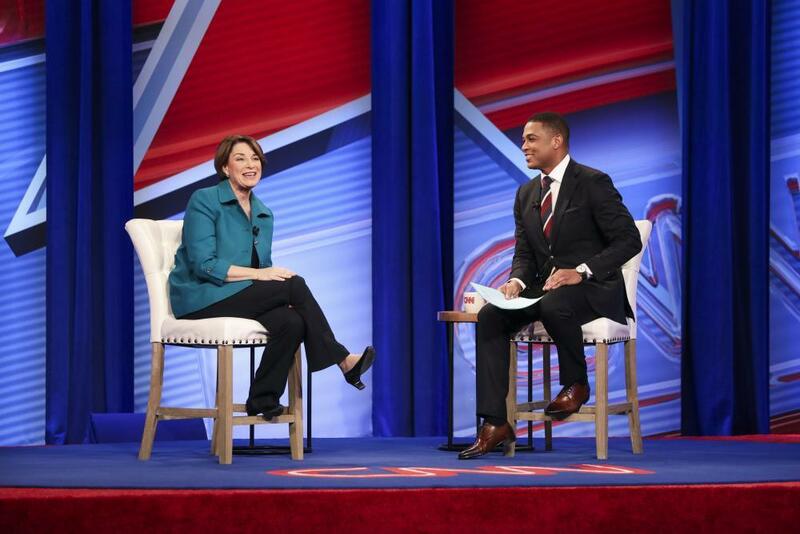 "Our evening was a big success! 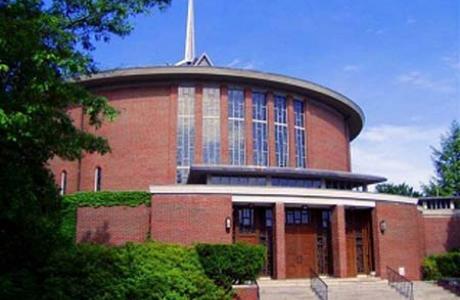 We held our 26th Annnual Historic Preservation Awards at the lovely campus of St. Anselm College. The Conference & Event Services staff was great to work with and the Catering staff was extremely accomodating. Our guests were truly wowed by the peaceful atmosphere, delicious food and elegant service provided in Davison Hall. 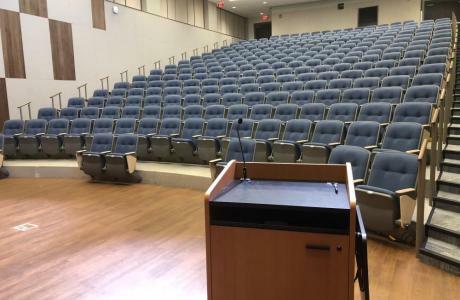 The Dana Center was the ideal setting for the presentation of awards and the large screen, in house sound and lighting systems and comfortable seating made for a perfect venue."